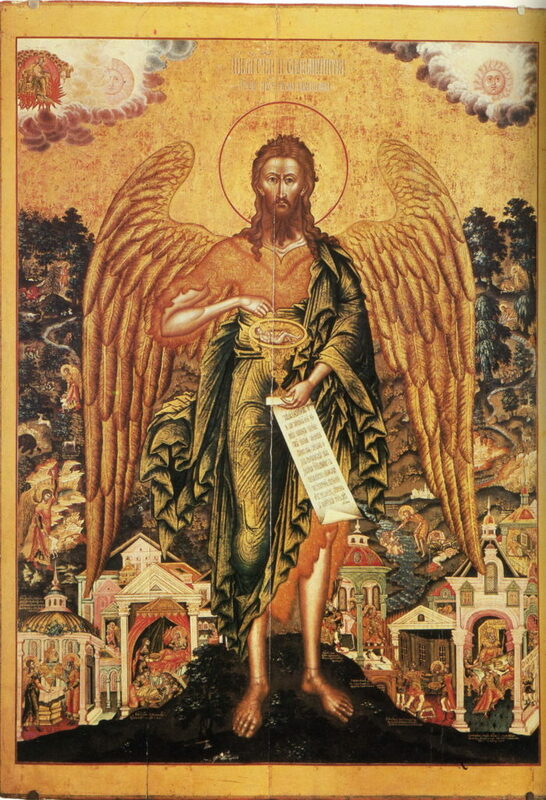 St. John the Baptist, “Angel of the Desert” (17th Century, Russian icon). Like a lion, John the Baptist roared the truth. In solitude, he lived wildly out in the desert. He was different. People thought he was strange. But he didn’t care. John was set apart in birth and in life. Valiantly, he protested important rulers who mistreated God. Since he was so determined in his mission, this would soon get him killed. Paving the way for the Lord, John the Baptist is one the Bible’s most prestigious heroes and should instill pride in all Christians. John was a contemporary of Jesus, and he came to be known as John the Forerunner. John the Baptist was miraculously born to Elizabeth and Zechariah when they were both over 80 years of age. The archangel Gabriel surprisingly appeared to them and declared that they would bear a child who would be God’s messenger and they shall name him “John.” When Mary the mother of Jesus visited Elizabeth, John leapt in her womb. John’s parents both worked in the temple, so that meant he could’ve been a priest and led a comfortable life. Instead, he decided to go out in the desert because God had a special plan for him: to prepare the world for Christ and preach that God’s Kingdom would soon come. John was a radical for God. He ate locusts. He devoured wild honey. He wore camel’s hair. Having been prophesied, he dressed and talked like Elijah. Throughout all of Judea, people came to him for advice and to be baptized. Courageously, John shouted to the sinister Pharisees and Sadducees, “You are snakes! … You must do the things that show that you have really changed your hearts and minds. And don’t think that you can say to yourselves, ‘Abraham is our father.’ I tell you that God can make children for Abraham from these rocks. The ax is now ready to cut down the trees. Every tree that does not produce good fruit will be cut down and thrown in the fire.” John, the miracle-born child, would soon become one of the most outspoken saints to walk the earth. “This is a voice of a man who calls out in the desert. Prepare the way for the Lord,” remarked the grand prophet Isaiah about John the Baptist. Amazingly, many prophets foretold about John, who was uncompromising and gallant. In the Old Testament, Malachi was one of the several who prophesied about John, while Elijah preached his same message: that all men should repent of their sins. John started his ministry in 30 A.D. Jesus came to be baptized. John thought himself unworthy. Jesus insisted, so John agreed. When John humbly baptized Jesus, Heaven opened and God’s spirit came out in the form of a dove. A voice came from Heaven that proclaimed, “This is my Son and I love Him. I am very pleased with Him.” Jesus called John “the greatest of men.” John was divinely picked to be the one who would baptize the Son of God. John the Baptist is an noble example for all Christians today. At the time of John’s ministry, Herod was the ruler over Galilee. Herod liked John. His evil wife Herodias didn’t. Breaking Jewish law was common for the couple, so John called them out, which enraged Herodias. Sadly, Herod promised her anything she wanted, so she demanded John’s head on a plate. John was bold and brave, preached the Good News, and dared to challenge sin. And for that, he was executed. John invented baptism and Christians still do it today as a ritual. Isaiah explained that John would make straight the way for the Lord. Since John exemplified what it means to have both strength and humility, modern Christians should honorably revere him. John, who was a herald for Jesus, deftly challenged corruption and chided sin. Like a soldier, John battled the enemies of God. During his mission, John explicitly influenced ancient people. He should be exalted by all Christians because of his resolute faith. Preaching that the Savior is coming, John got people ready for Jesus. 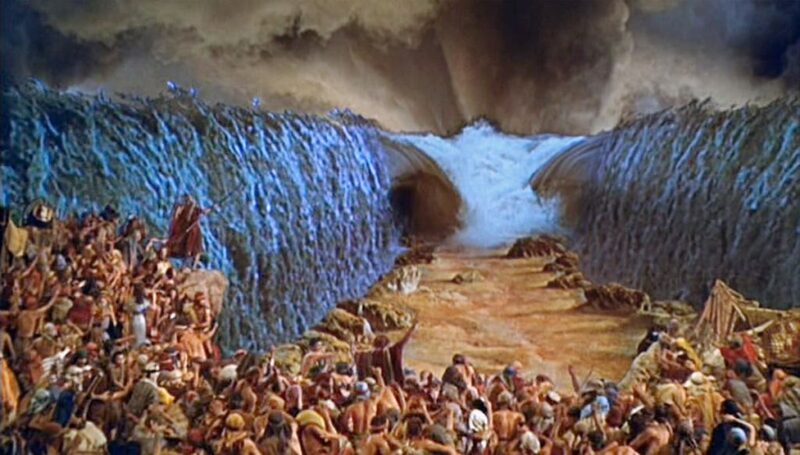 Adroitly, he spread the message of separating “the good grain from the chaff.” If you get baptized and repent for your sins, you can have salvation. John was a lionhearted preacher. Gilgamesh, who was the king of Urek, was a strong and brave ruler, but he was not content. He crossed the stunning Euphrates River, enormous deserts, and climbed vastly huge cliffs to find the man who could tell him about the plant of life. 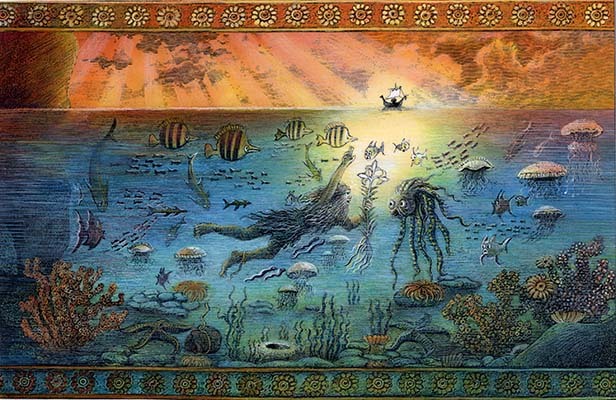 Gilgamesh learned that the life-giving twig was in the sea, so he started the drastically long journey to find it to henceforth live forever. On his boat, Gilgamesh could smell the salt from the ocean and saw a radiant glow in the water. He determinedly jumped in and grabbed the shrub, which was covered with prickly thorns. As the king was traveling home, he could feel the dripping sweat on his hairy body, sense the mist from a nearby river, and stopped to take a swim in a pond. He put the plant on a rock, but a slick slithering serpent sucked up the slimy shrub and shed its scary scales. Gilgamesh was in despair! He decided to go back to Urek. Just then an eagle majestically swooped down and took Gilgamesh on his back, showing him the city he’d made great from the sky. The bird, who was wise and kind, said the king would not have eternal life, but that he would live forever in the hearts of his people.